April 28, 2013 Pilar B. Feeling stressed out about answering your children’s questions? My newest post on MariaMontessori.com might be the answer you’re looking for! August 16, 2012 Pilar B. Mandatory staff meeting @ 8:45am. Now, answer this question truthfully: Knowing that you have to leave your project aside in 45 minutes, would you use your time to focus on challenging tasks that require your undivided attention, or would you take it easy for 45 minutes, checking your e-mail, refilling your coffee cup, and sneaking a peek at Facebook? Yeah, I’d choose the latter, too. What does this have to do with Montessori? All Montessori educators are familiar with what we call the “three-hour work period”. As the name suggests, this is a three-hour chunk of time in the morning in which the children receive presentations, choose materials, have snack, and work at their own pace on activities that interest them. (Note: All AMI-recognized schools also have a two-hour uninterrupted work period in the afternoon for children ages 4 and older). A quality Montessori school will not have a single interruption during the work period: no Spanish teacher coming into the classroom; no music instructor pulling kids out; no physical education taking place on the basketball courts. True cognitive and personal development – the type that takes place in a Montessori classroom – cannot happen in 45-minute spurts. In Montessori: The Science Behind the Genius, Angeline Stoll Lillard points out that, “Montessori teachers who adhere to three-hour work periods without interruption claim one can see the difference in the quality of the children’s concentration on days when children know they will be leaving the classroom in an hour for a field trip or doctor’s appointment or special music class.” Children who know they will soon be interrupted choose unchallenging “busywork” at best, and at worst become nuisances to their peers. Even more tragic are children who don’t know an interruption is coming; they choose demanding work, become engrossed, and are understandably upset when the disruption takes place. While interruptions are part and parcel of traditional education methods, they just aren’t necessary in Montessori. The beauty of the Montessori “curriculum” (for lack of a better word) is that it encompasses EVERYTHING that children should be exposed to in school. The usual “pull-out” subjects like art, music, physical education, drama, and yoga are all found within a well-prepared Montessori classroom. It might not look like what you experienced in school, but then again, doesn’t everything in Montessori look different than traditional education? It’s a good kind of different; it’s a different that makes sense – a different that works! You might be thinking, “How can one teacher know and teach everything?”. She doesn’t. But she also doesn’t have to. The materials are carefully designed to capture the child’s interest and guide him in the learning process. The child’s drive for knowledge and the material’s self-correcting qualities are the true teachers – the adult just brings the child and the material together as a kind of middleman of the learning process. If you are looking for a Montessori school for your child, make sure to ask if they respect the three-hour morning work period WITHOUT INTERRUPTIONS (and don’t forget the afternoon work period for your older child!!). And if you’re a teacher, make sure you protect the three-hour work period with your life! Would this child have chosen to learn about Europe if he only had 45 minutes? July 11, 2012 Pilar B.
Here’s a great article that describes what goes on in a Montessori Children’s House classroom, and offers a quick overview of the history of the method. Great reading to introduce anyone to the Montessori approach! June 21, 2012 Pilar B. The wonderful guys and gals at Montessori Madmen have shared this insightful guide to observation (originally provided by Little Things Montessori). 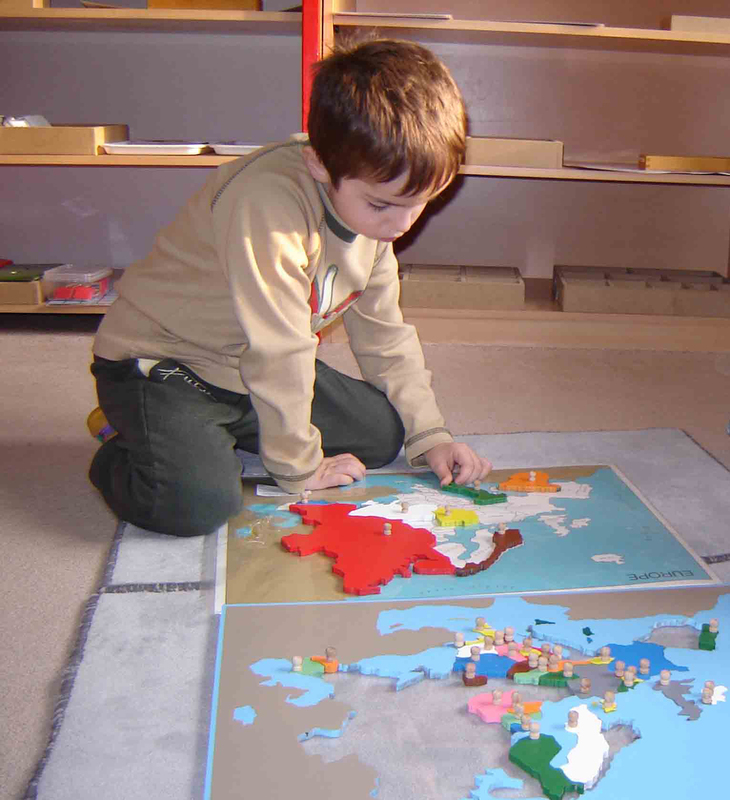 A Montessori classroom can seem as odd and confusing as an exotic foreign country, so consider this article your travel guide! When I was a teacher, I was often frustrated by how parents behaved when they came to observe the classroom. They would talk to each other, walk around the room, talk on their cell phones (yes, I’m not kidding), engage the children, and even try to help them accomplish activities they were perfectly capable of doing on their own!! I had to remind myself that they weren’t being rude on purpose – they just hadn’t been educated on the importance of being “invisible” during observation. I hope every parent of a Montessori child takes a few moments to read this guide. I love that it’s written using positive and encouraging language that doesn’t overwhelm or belittle parents who are new to Montessori. Well done, Little Things Montessori!